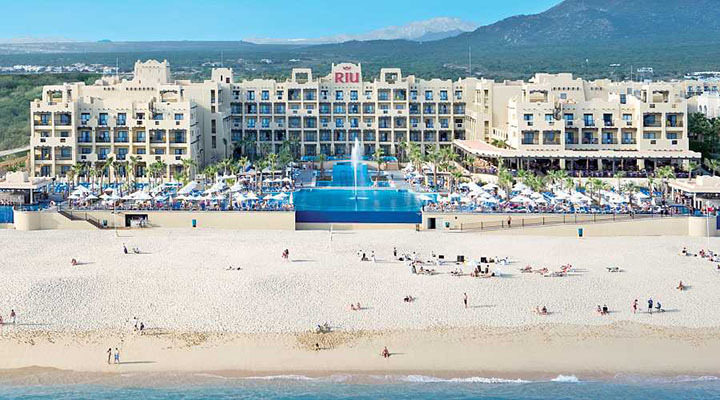 The Riu Santa Fe is an immaculate vacation property offering effortless getaways in Mexico’s southern Baja California Peninsula. 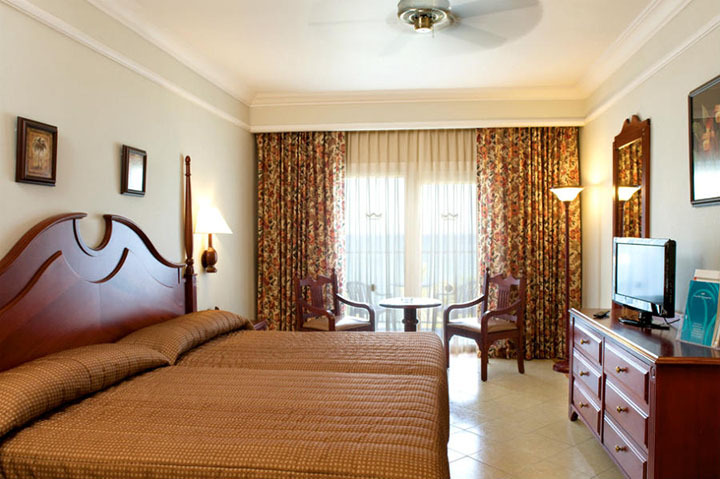 With its direct beach location, guests can unwind on free sun loungers by stunning, clear water. Or admire the incredible panoramic views from the resort’s infinity pool with swim-up bars nearby serving your favourite tropical beverages. The RiuLand kids’ club features daily entertainment programming for children. The resort restaurants keep appetites pleasantly satiated, including poolside dining options serving authentic Mexican or classic steakhouse favourites. 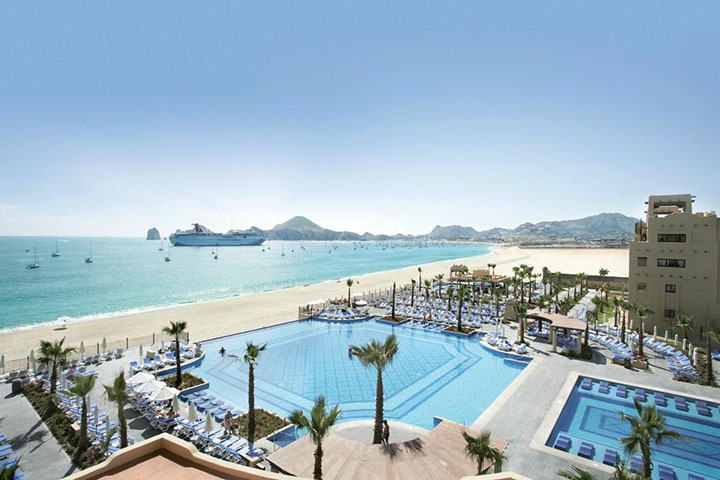 Hop on a bus for a short ride to experience the lively city of Cabo San Lucas and its picturesque marina. Travel Insurance highly recommended and can be quoted.